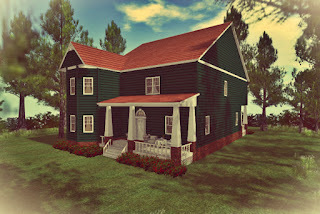 My last cottage for this month is a Craftman/Victorian style home. 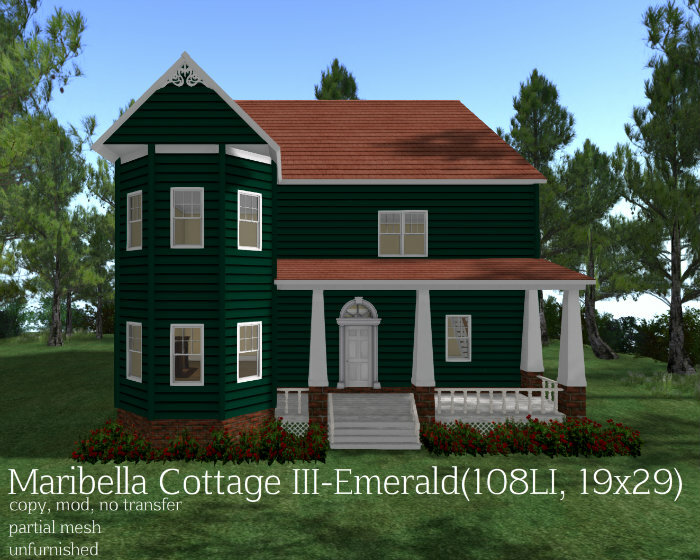 The Maribella Cottage III-Emerald is a double-storey home with 3 bedrooms and a bath. It has a separate living area and an open kitchen and dining area with french doors leading to the back porch. 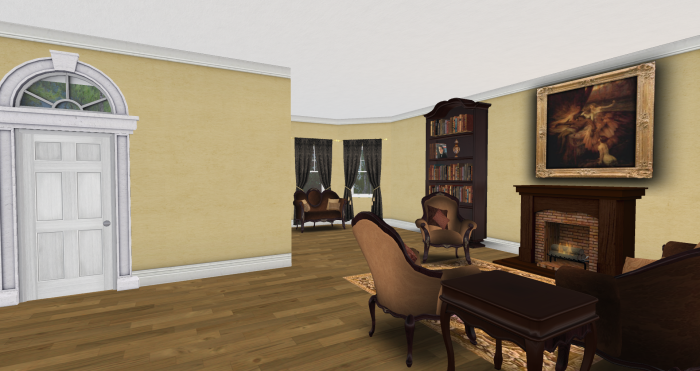 On the upper floor, there is an open family area. 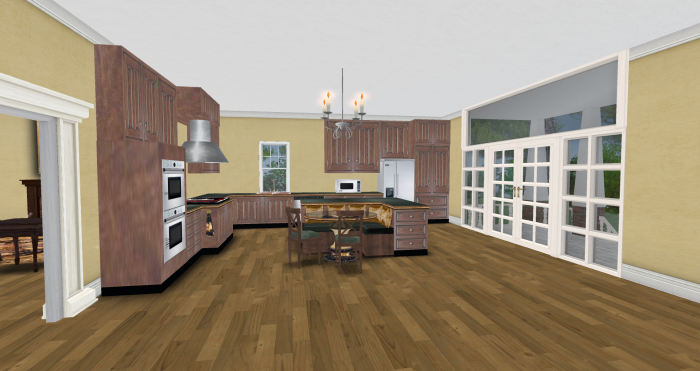 The view of dining area from the kitchen. 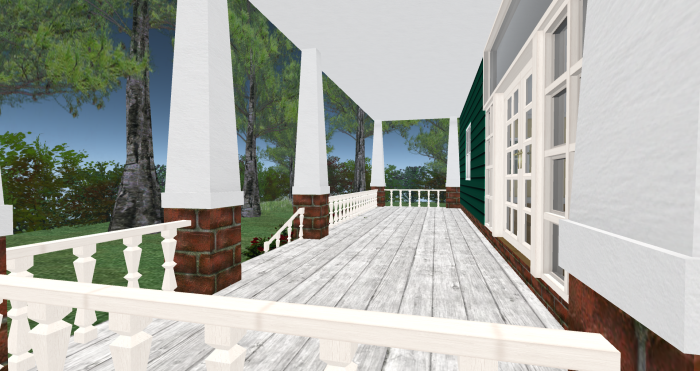 View of the back porch. 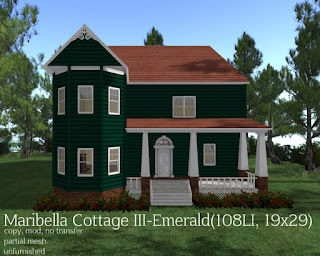 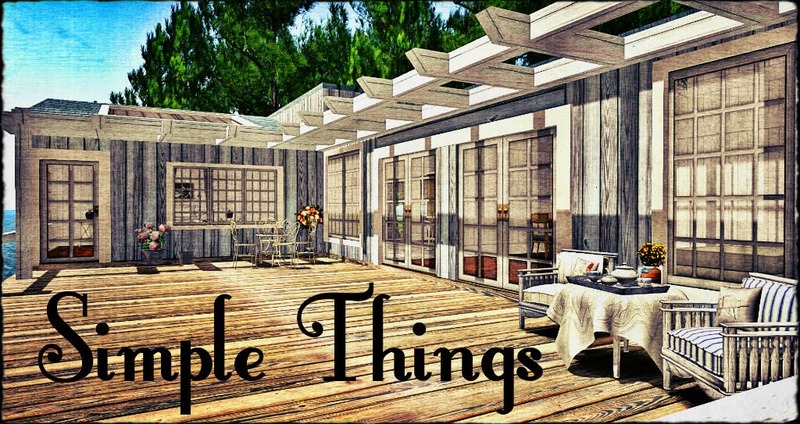 This house is available at my in-world store and the Marketplace for 225L. 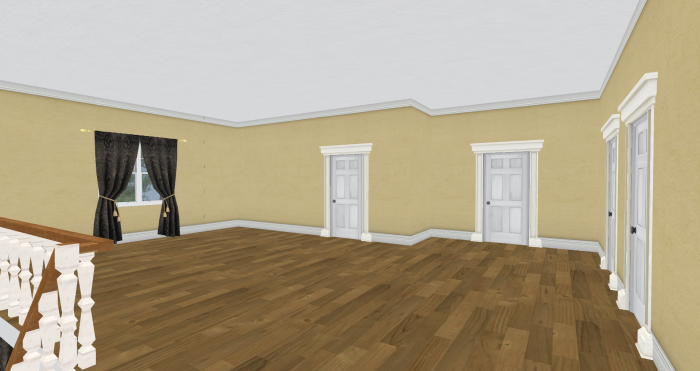 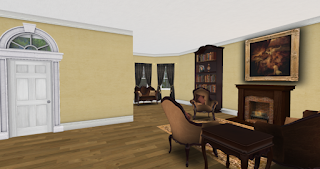 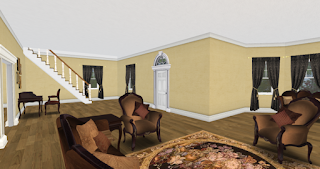 The demo house can be viewed at my in-world store.